IPA's have slightly more body than light ales, slightly more strength (O.G anywhere between 40 and 45), slightly more hops and slightly more colour. India Pale Ale was originally specially brewed in the nineteenth century to be sent to troops in India at the time of the British Raj. 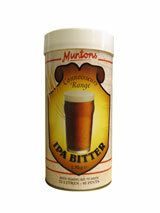 IPA should be high in malt bouquet and well hopped, with a dry, fresh clean taste.